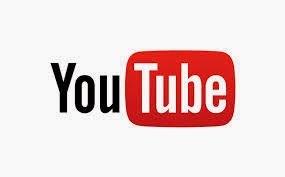 Hello there!!! 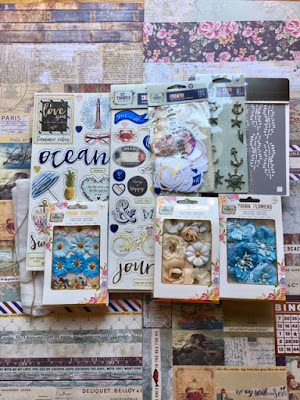 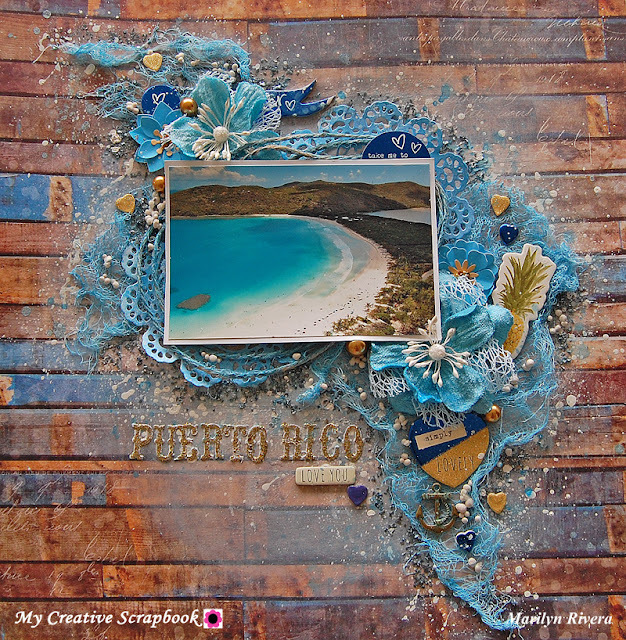 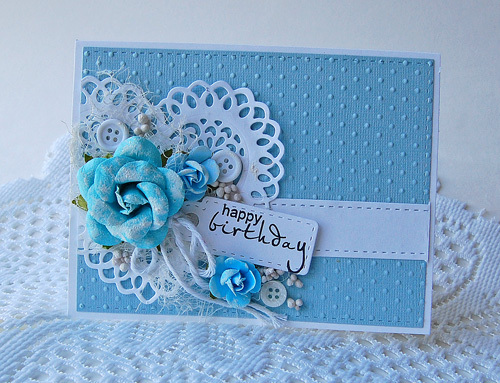 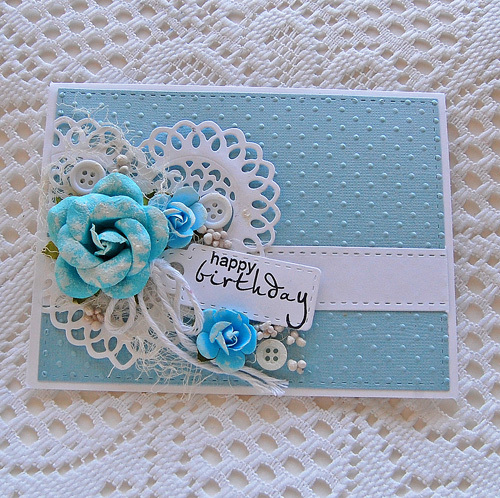 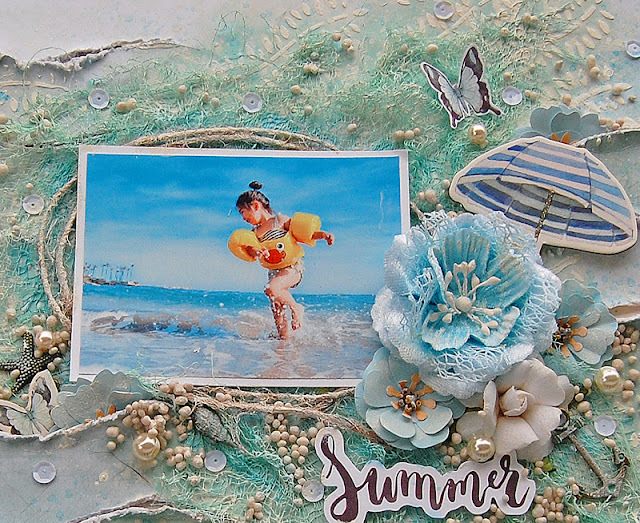 Here's my second project with the August Limited Edition Kit featuring the ST. Tropez collection by Prima Marketing mixed with Blue Fern Studios papers. 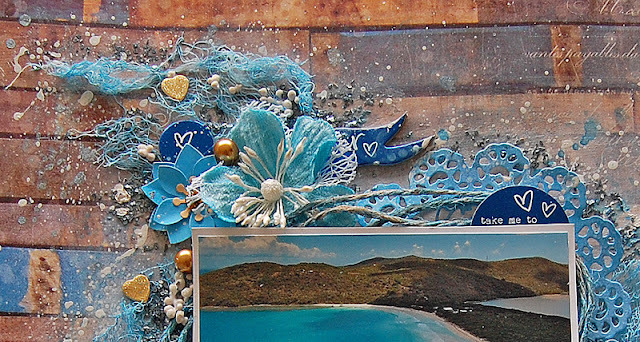 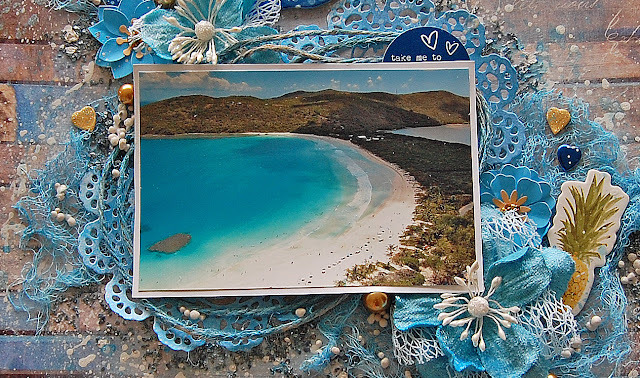 I made this page about one of the most beautiful beaches in Puerto Rico, The Flamenco beach located in island of Culebra. 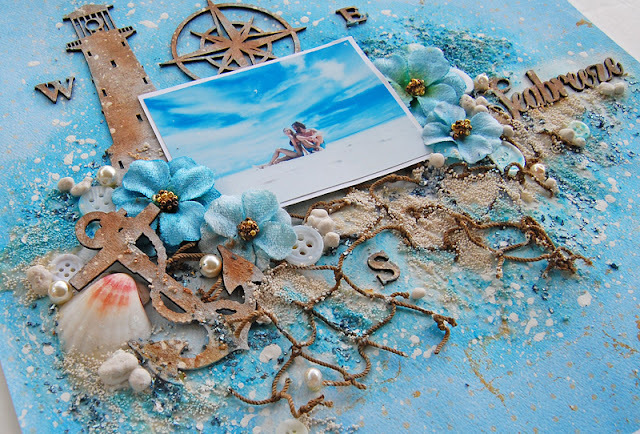 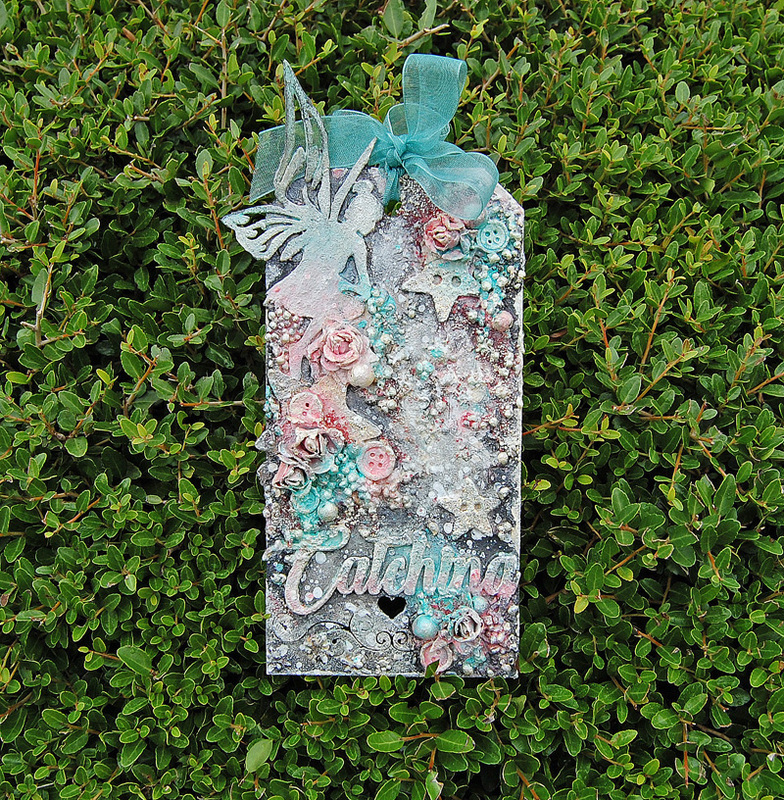 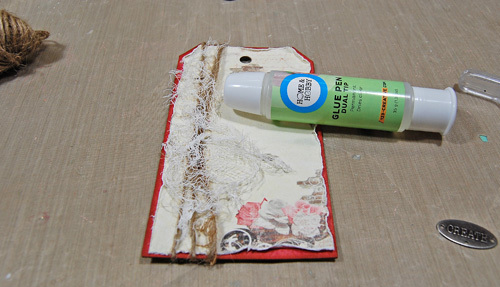 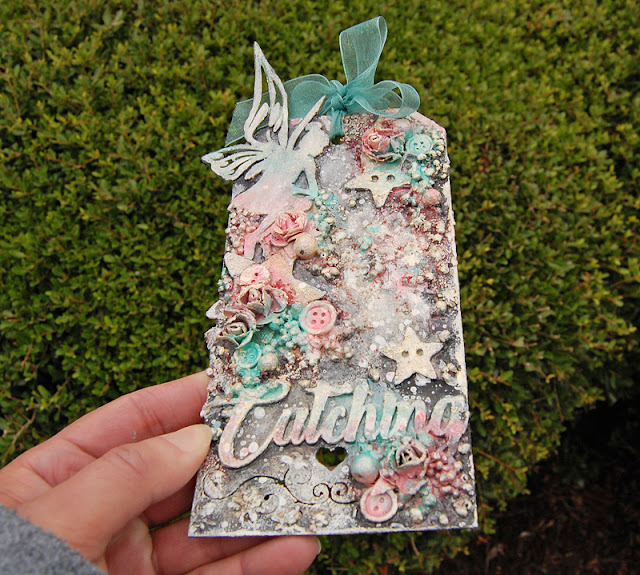 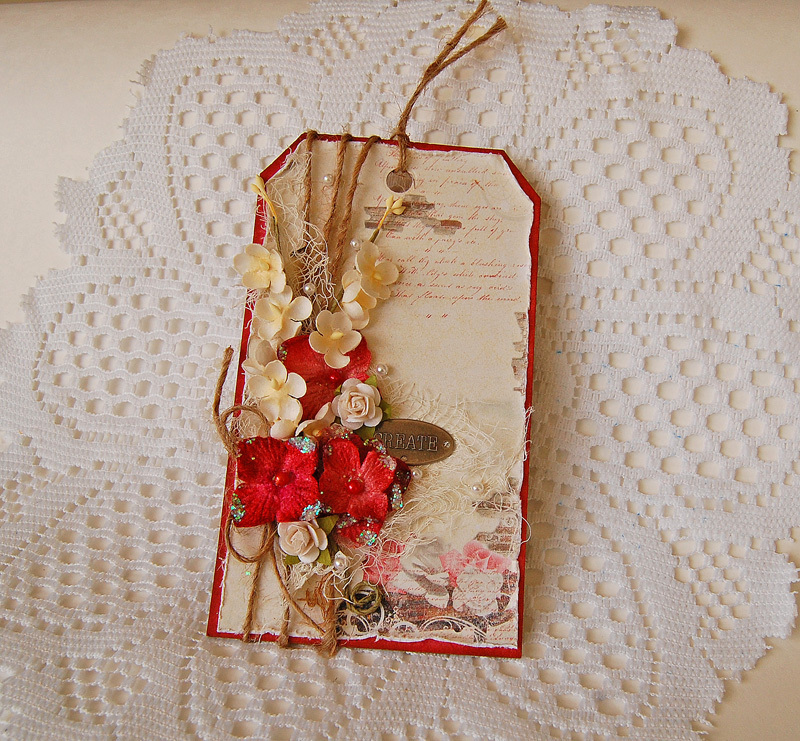 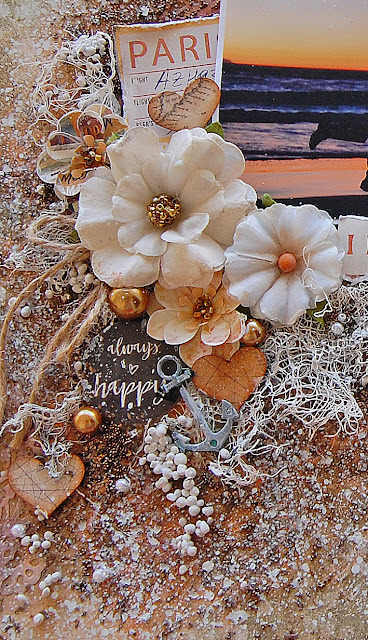 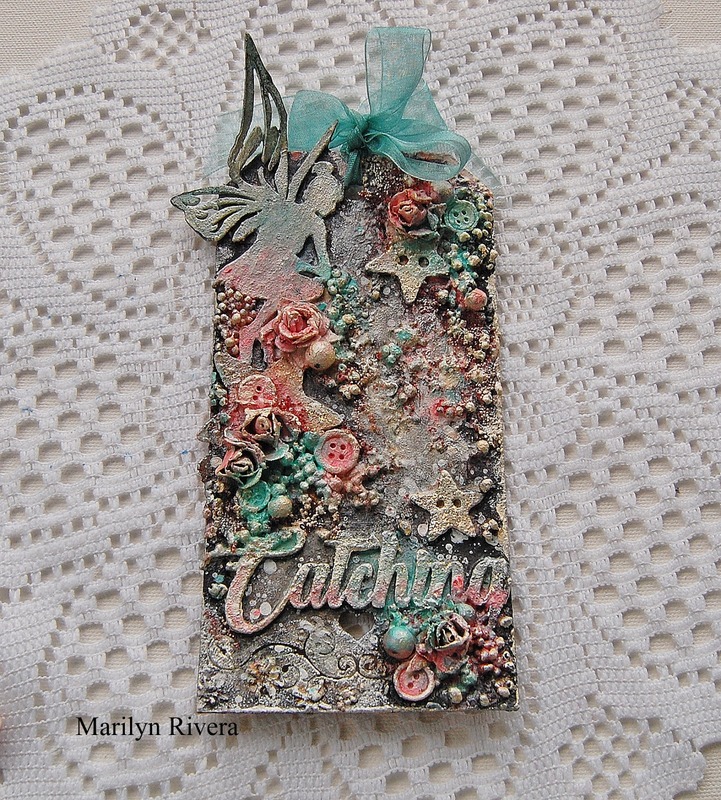 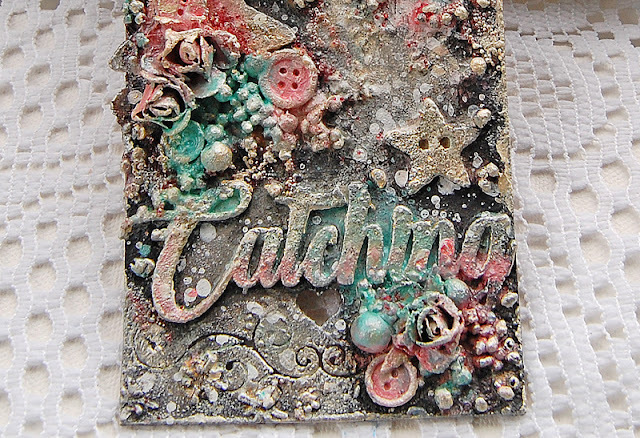 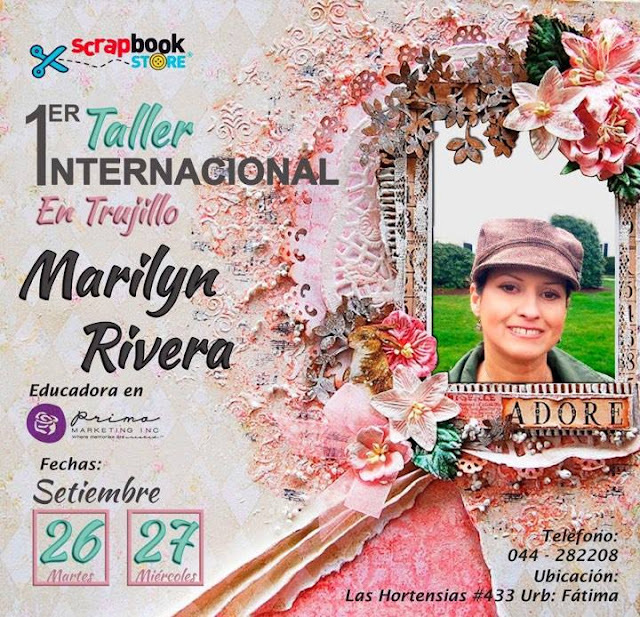 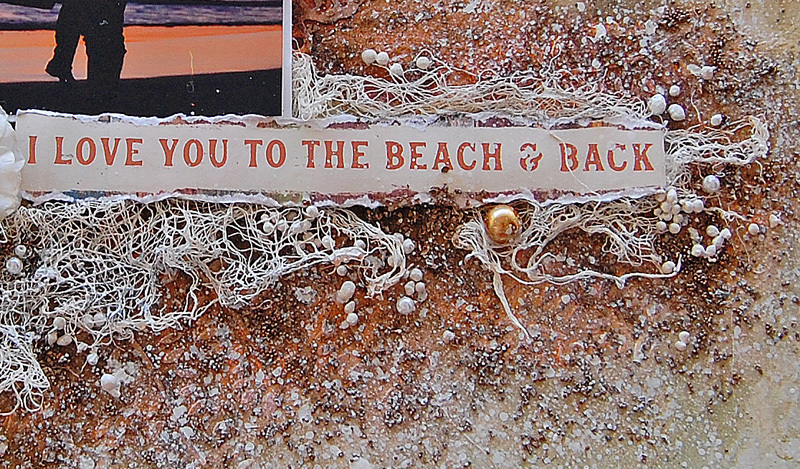 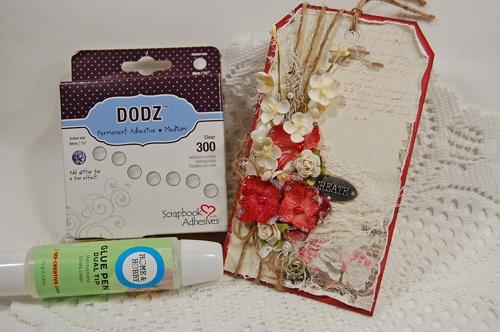 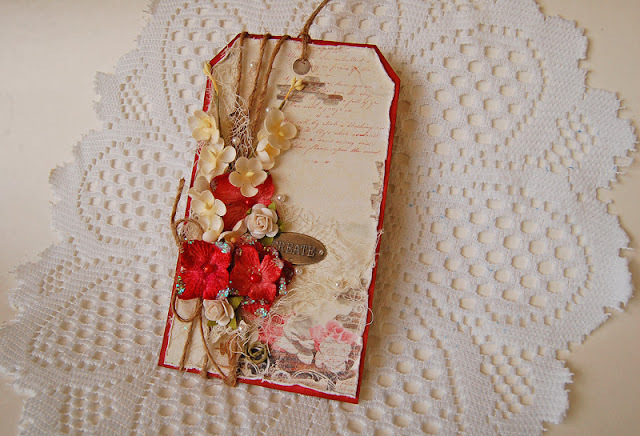 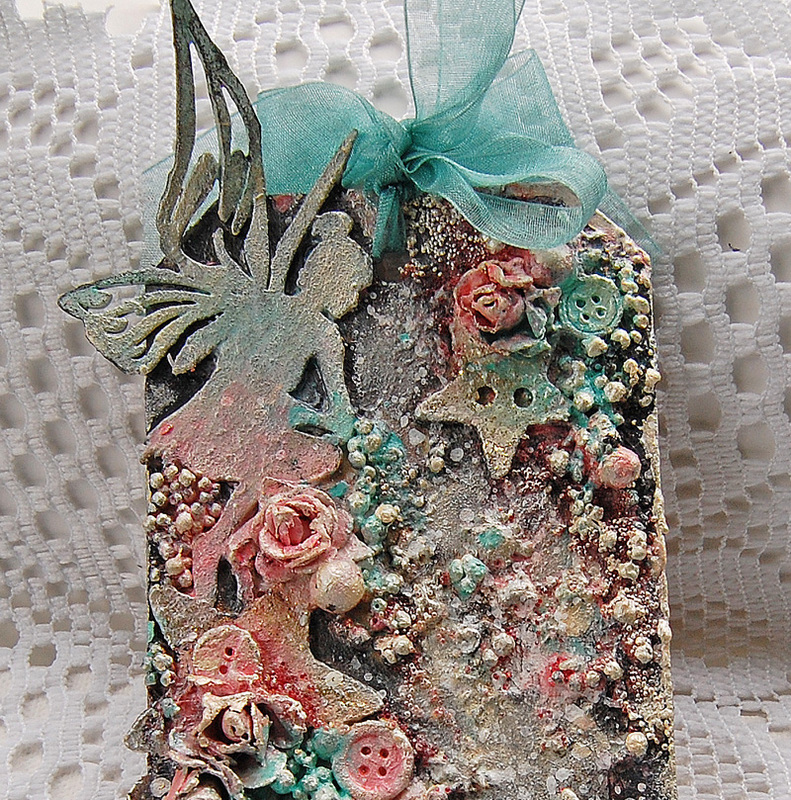 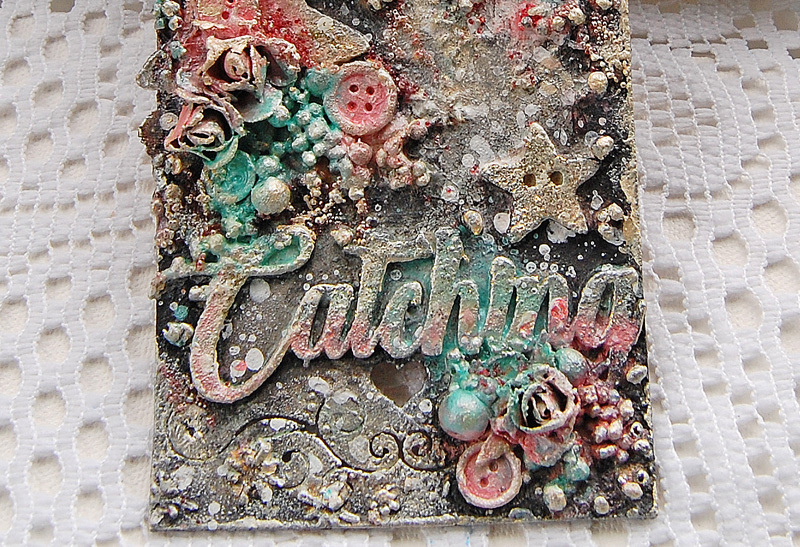 I used the wood paper from this collection with some chipboards and the pretty metal trinkets. 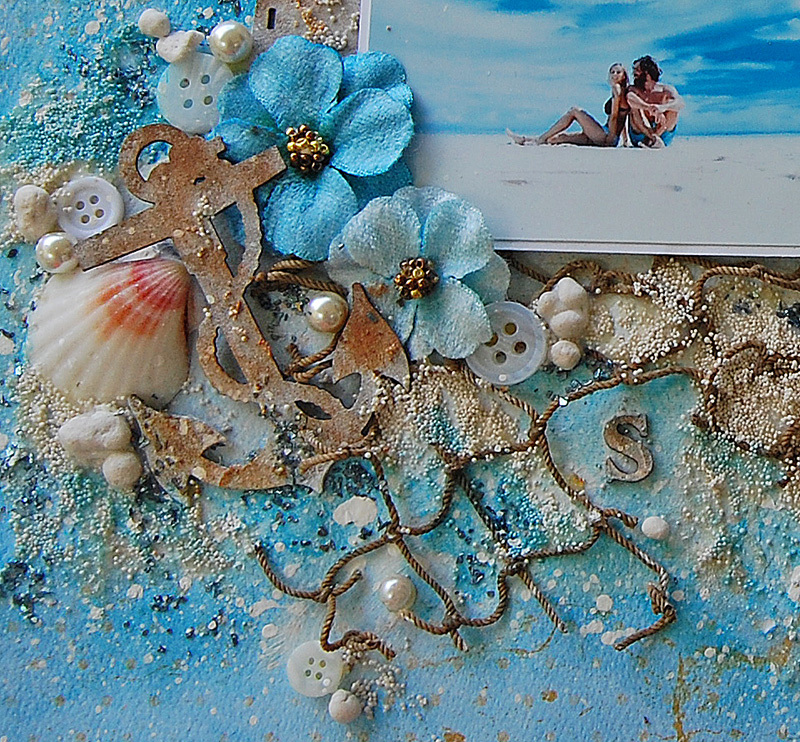 I added some chipboards and these cute gold and blue hearts. 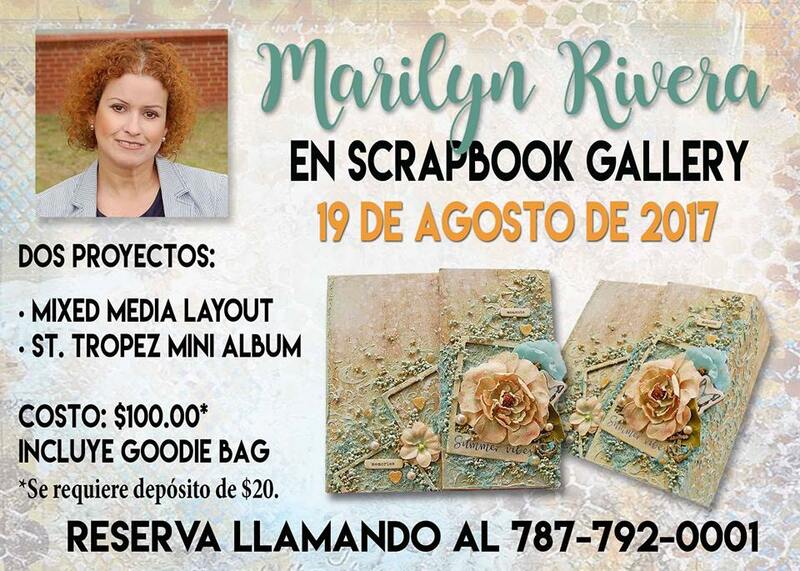 You can watch the Unboxing video of this kit in my... YouTube channel. 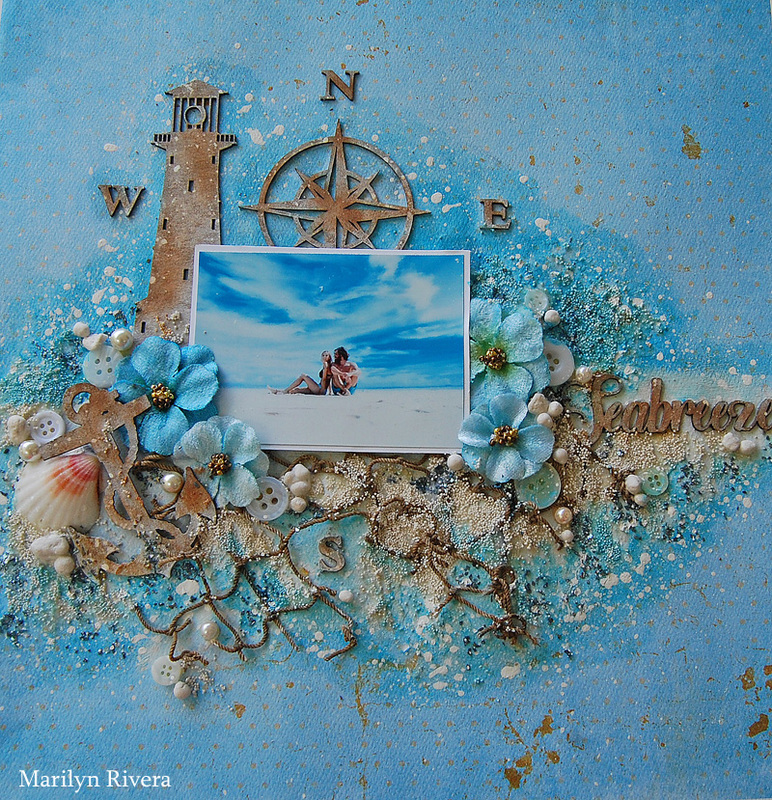 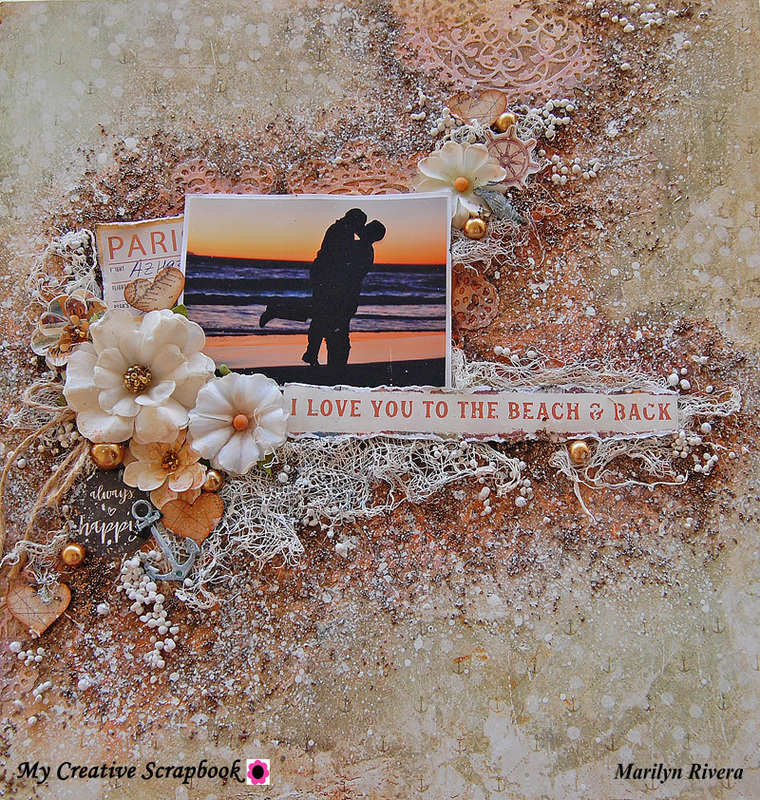 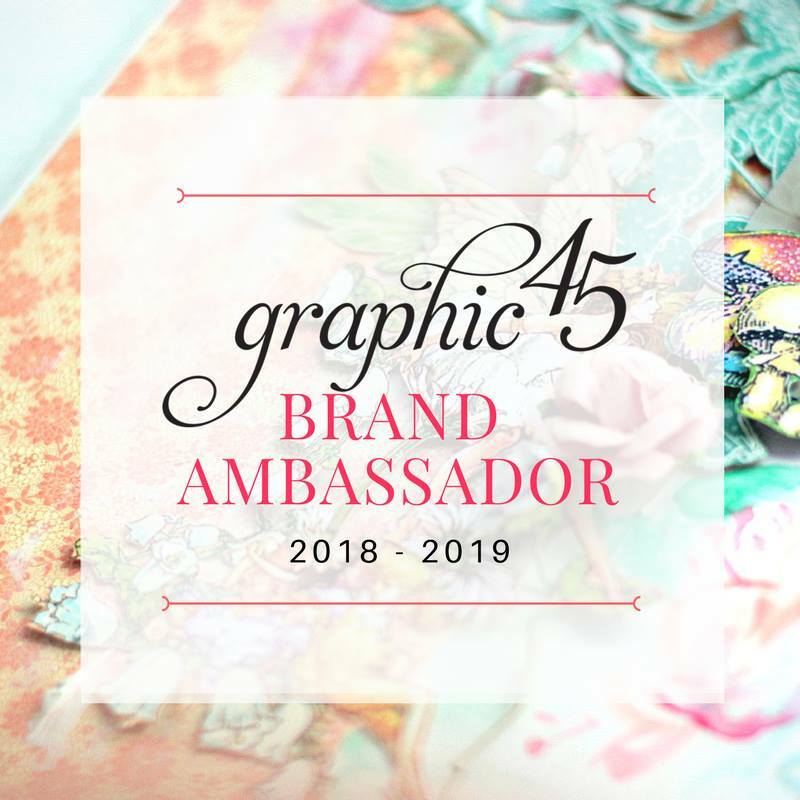 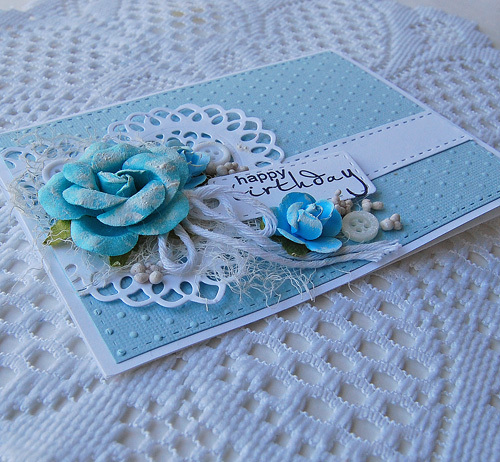 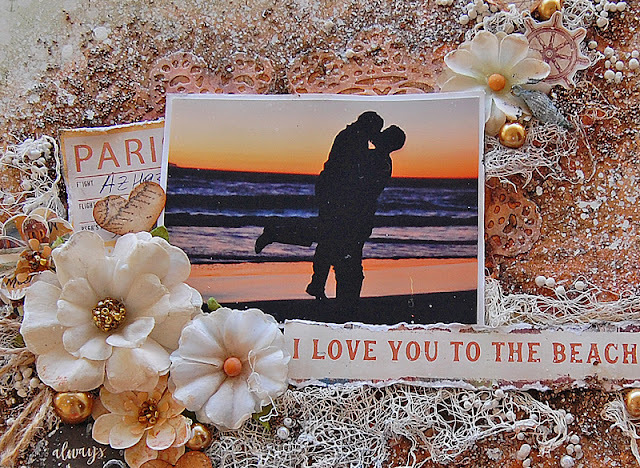 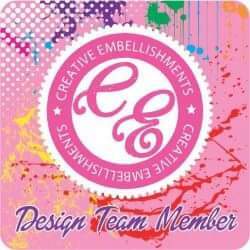 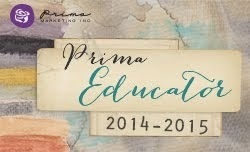 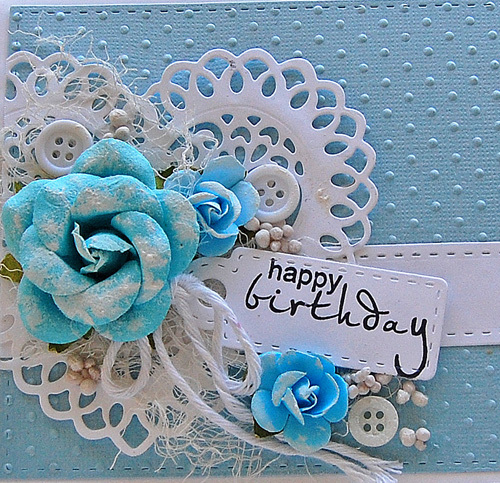 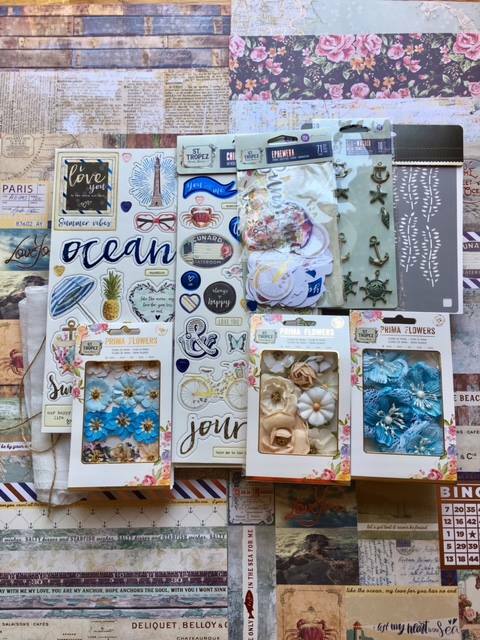 The kit is featuring the St Tropez collection by Frank Garcia for Prima Marketing and papers from Blue Fern Studios. 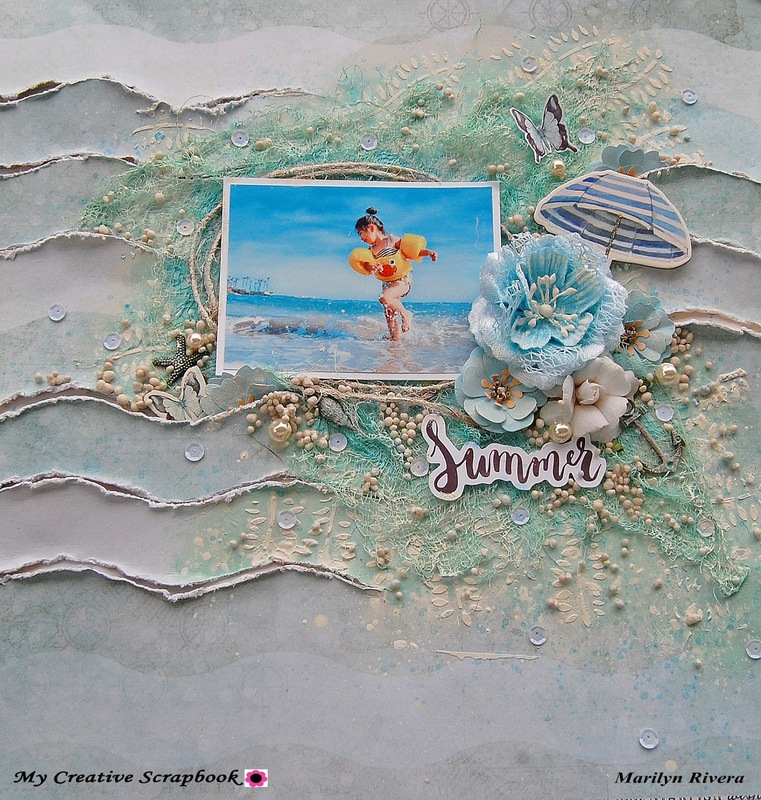 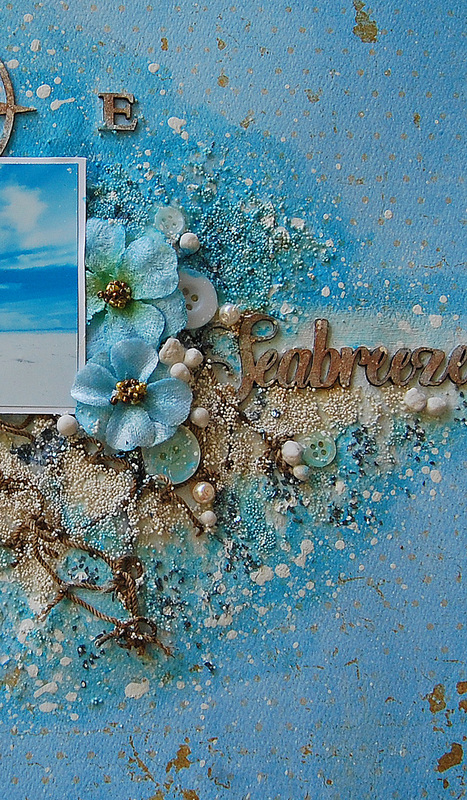 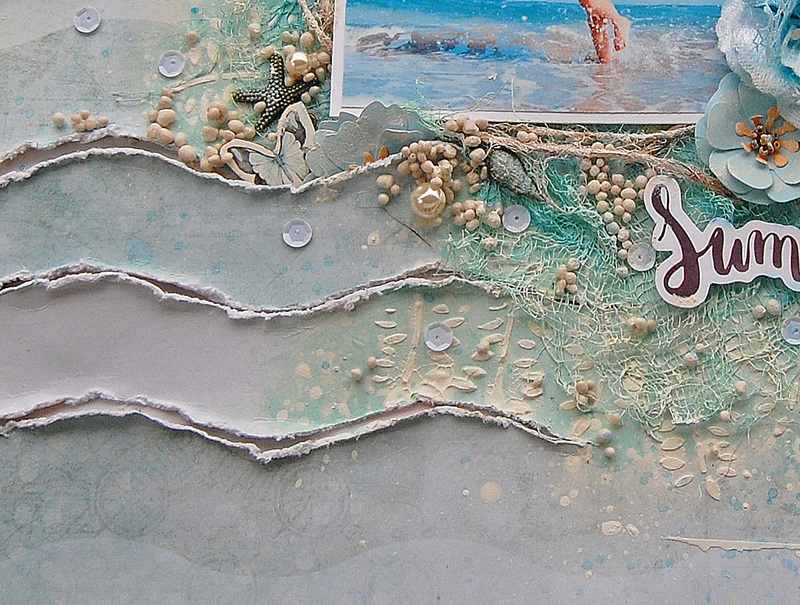 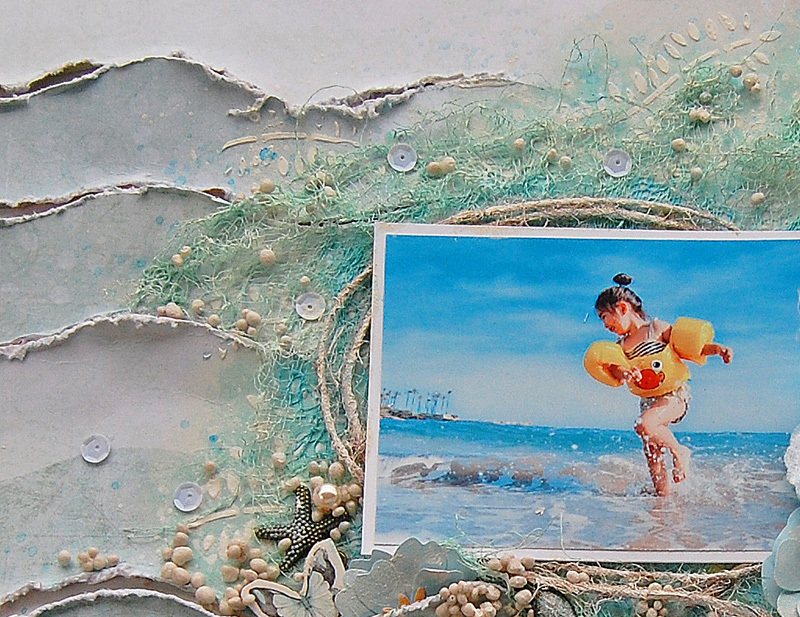 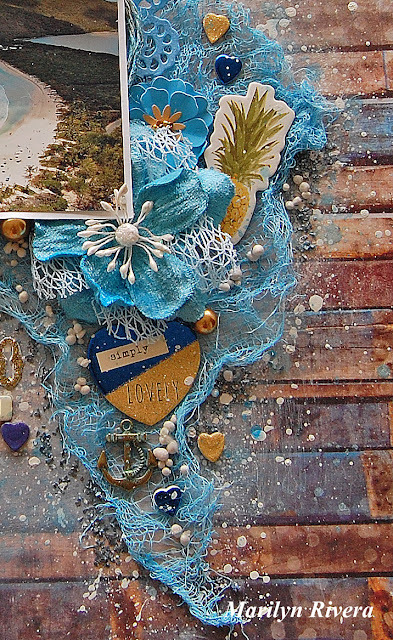 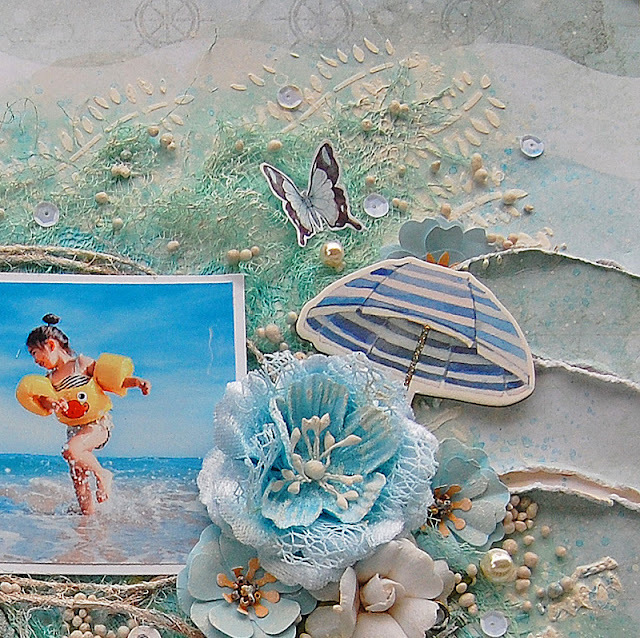 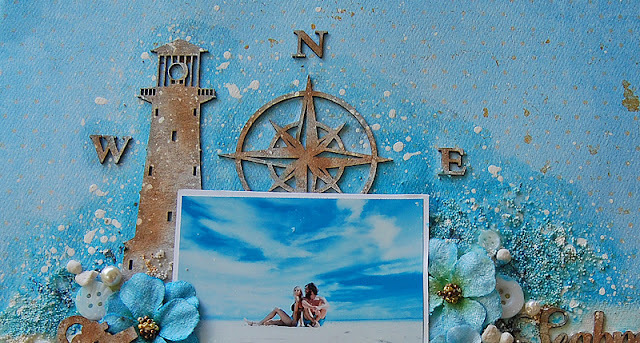 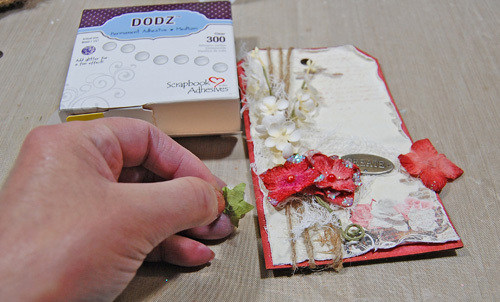 I love this paper from the St. Tropez collection that I though it's perfect for a mixed media page. 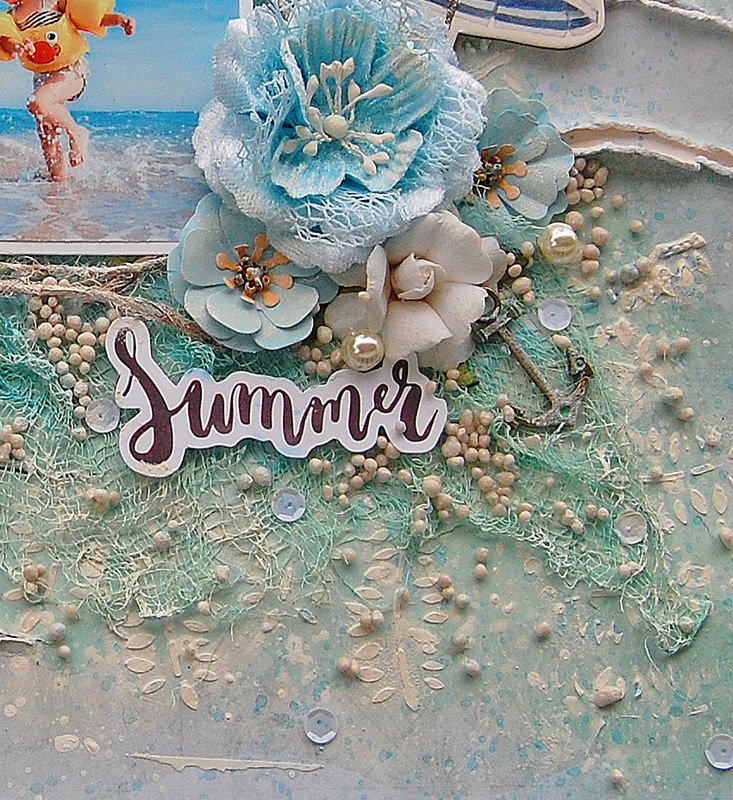 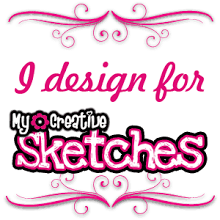 I created layers of textures in this page , you can see all the creative process in the video tutorial.